On January 1, 2018, marauding herdsmen had attacked and killed 73 persons in Guma and Logo Local Government areas of Benue State. The killings generated a deafening outcry from residents of the state, which attracted world condemnation. In May, two Catholic priests were murdered in Mbalon, Gwer Local Government Area of the state. These two killings and many others in Agatu, Buruku, Makurdi and Okpokwu LGAs aggravated and created tension in the relationship between residents of Benue State and the grazing Fulani herdsmen. An urgent solution to the crises was sought with several points raised on how to mitigate the killings of innocent Benue people. While the federal government proposed cattle colonies as solution to the situation, the activities of the herdsmen continued with the usual attack on host communities and farmers. Their modus operandi was to attack communities and kill at the slightest provocation. The herdsmen were in crisis with farmers, who bitterly complained of large acre of their farm lands being destroyed by herds. And to curtail the destructive activities of the herders, the Benue State Government enacted a bill, which as passed by the Benue Assembly, bans open grazing in the state. The law also encourages ranching as an alternative to grazing. But rather than see the law in the view of the state government, the herdsmen resisted it while they continued to cause sorrow and tears to their host. A member of the cattle breeders association, Mr. Darius Gololo had complained that the law was extreme and was done to chase the Fulami herdsmen from the state. Benue thus became a killing field following the many killings that occurred after the law came into effect. To forestall further killings, the state government appealed to the federal government to beef up security in and around the state. But the federal government responded by sending a special exercise known as Ayime Kpatoma (Exercise Cat Race) and later sent in a special task force known as Operation Whirl Stroke, headed by Major General Adeyemi Yekini. The efssence of the operation was able to bring peace back to the state. In late 2018, general Yakini and his men were able to flush out killer herdsmen from the state. The government was also determine to enforce the law, when the state livestock guards impounded 105 cows over open grazing. The impounded 105 cows and four sheep were caught grazing openly near Akawe Torkula College of Advanced and Professional Studies School, Makurdi. Confirming the Development, Commander of the Livestock Guards, Mr. Linus Zaki, disclosed that one herder named Kunje Saija was also arrested in the course of the operation. He explained that in accordance with the Benue State Open Grazing Prohibition and Ranches Establishment Law, the impounded cows would be quarantined for seven days before being auctioned, if the owners fail to pay the fines stipulated by the law. Governor Samuel Ortom of the state recently restated the commitment of Benue State Government to the full implementation of the Open Grazing Prohibition and Ranches Establishment Law. He also emphasised that anyone, who violated the law would be prosecuted. 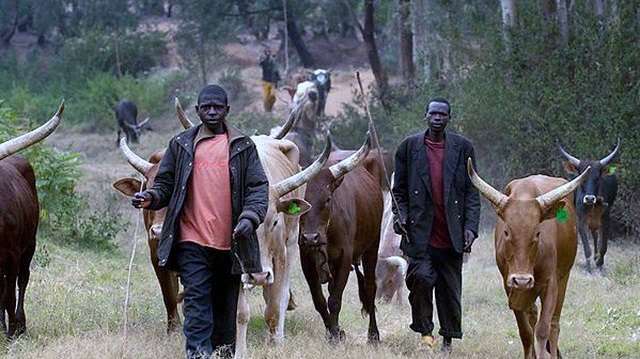 But many sources have attributed the return of the killer herdsmen to politics while others thought it was due to seasonal migration of herds due to the whether condition up north. Usually, during the dry season, the availability of fresh grasses and water bodies in the up north becomes very difficult and the herders have to migrate to where they could get food and water. With the success of the operation and when everyone in the state thought the dark days of the deadly herdsmen were over, however, at the turn of 2019 the herdsmen appeared to be back with renewed violence. On Wednesday, February 20, 16 persons in Ebete, under Usha ward in Agatu LGA were killed. The unprovoked attack on Agatu people started at exactly 1am, when people were deeply asleep. According to an eye witness, Daddy Seni, whose father was also killed alongside his siblings, he left his father at Ebete while heading to Aloko for fishing when he received call from his father asking him to turn that he had been shot by Fulani herdsmen. On reaching where his father was lying in the pool of blood about giving up, he was going to take him to the hospital when he heard a voice from his father saying, “my son, don’t bother about me and your siblings again, ours have finished, we can’t survive this gunshots, run for your dear life to tell others about this,” then he gave up. The deceased’s son who narrated the incidence to Agatu Council Chairman, Alhaji Oyigocho, who in turn rushed to Ebete with some Council members alongside security men, said he heard the killers speaking Fulani language while trying to run from the scene as he (Seni) hid himself in the bush. He said, among the sixteen persons that were murdered, three were Jukum hunters, who were hunting animal before they met their untimely death while two of the Jukum hunters who couldn’t die immediately but sustained bullet wounds were rushed to nearby hospital. Reacting to the unfortunate incidents, Oyigocho appealed to the government to quickly come to their aids, saying, this is happening at a time Nigerians are preparing to elect their new leaders, adding that if the situation continued, it would disorganise so many things. He said his people had never taken laws into their hands despite provocations from herdsmen whom he said had taken over farm lands in most parts of Agatu land, which he spoke about recently on the radio. Also in Logo LGA, one Iorwuese Myaga, a father of seven in Anawah settlement, Ukemberagya Gaambe-Tiev Logo Logo local government area of the state, was murdered by the herdsmen. According to a source in the community, the victim was killed on his farm by the armed herders, where he had gone to harvest his crop. The murder of Myaga came less than one week after troops of the joint military Operation Whirl Stroke, engaged armed militant herdsmen in fierce gun battle in Anyiibe in the same Logo local government area. Two weeks later, more than 16 people were killed by suspected herdsmen in Agagbe, Gwer West local government areas of Benue State. General Yekini said only seven (7) corpses had been recovered by his men in what he described as a reprisal attack. Sub-sector commander of OPWS, Flying Officer Mohammed Abubakar, who spoke to Journalists while Yekini was briefing newsmen, said some of his reliable sources from Agagbe came to inform him that some men dressed in military uniform were sighted in Agagbe forest rustling cows and he quickly mobilised his men to the area and fight started, adding they found three (3) dead bodies, which were later taken to a hospital in the area. He also said they embarked on a search as well as carried out investigation and discovered that those behind the rustling of cows were members of the livestock guards. “We later traced them to Ter Nagi’s Palace and discovered 22 cattle there but he claimed that cattle belonged to him. Thereafter, we made contact with the DPO, who equally identified the rustlers as members of the Livestock Guard, who disguised in military uniform to rustle cattle and butchered them for sale at the Naka market. As I speak with you, they are selling the meat at the market. The DPO also gave names of seven (7) persons who are members of the Livestock Guard involved in the rustling. “Just this afternoon, our men went on mop-up patrol and discovered four additional dead bodies at the scene of the incident,” expressing regrets that some unforeseen forces were deliberately trying to cause chaos in the state. The Ter Nagi Chief, Daniel Abomtse, also reported heavy attacks in some communities in his domain. According to him, OPWS has been helpful to them but that sometimes, troops of the operation also killed cows belonging to herdsmen and chased them away only for them to come in a reprisal attack on his subjects. He alleged that four out of seven districts in his domain had been taken over by the herdsmen and appealed to the federal government to deploy or station a military post at Agagbe to avert further attacks. Yet again, in a few weeks after, the herdsmen invaded Tser Uoreleegeb in Ubabai council ward of Guma and killed ten people. According to locals, the gunmen stormed the village and shot ten people dead. “The incident happened on Tuesday night, and the people were sleeping outside the house, because of heat, when the gunmen came to the community. The gunmen shot at the people and immediately ran away, so no one can say who was responsible for the killing,” the local said. Chairman, Guma Local Government, Richard Shior, confirmed the development when he said a community was attacked in his council area late hours of Tuesday and killed ten people. “A day before Tuesday, someone had been killed by herdsmen before the incident at Tser Uoreleegeb. It is the same herdsmen that went to this community on Tuesday night and killed ten people, who were sleeping outside. The corpses are being burned as am talking to you now. This is because the villagers said that they should bring the corpses for burial,” Shior said. Spokesman for Benue State command, DSP, Catherine Anene said also that, “The Divisional Police Officer in Guma just confirmed the incident. He said he found five corpses at the time he got to the burial site. In a related development, officials of Myetti Allah Cattle Breeders Association (MACBAN) in Benue State have alleged that soldiers killed two of their herders at the Adeke area of Makurdi metropolis. 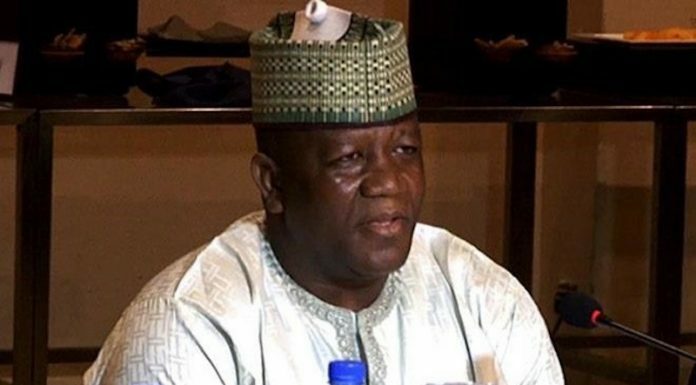 The Chairman, Haruna Ibi, in company with his officials, said the bodies of those killed had been retrieved for burial after the matter was reported to the police. One of the association’s officials, Ardo of Otukpo, Risku Mohammed, said the deceased were members of his branch and that they were with their cows at about noon, when the soldiers allegedly accosted them, killed and burnt their bodies. Mohammed said that the matter had already been reported to the police. But leader of a patrol team of the Operation Whirl Stroke (OPWS), Flight Lieutenant, Abubakar Mohammed, who patrolled the Adeke surrounding where the incident happened, denied knowledge of the killings or burning of any corpse. Corroborating the story, General Yekini posited that his men have continued to suffer such encounters with herders on a regular basis such that on sighting troops on patrol, they would open fire on them.